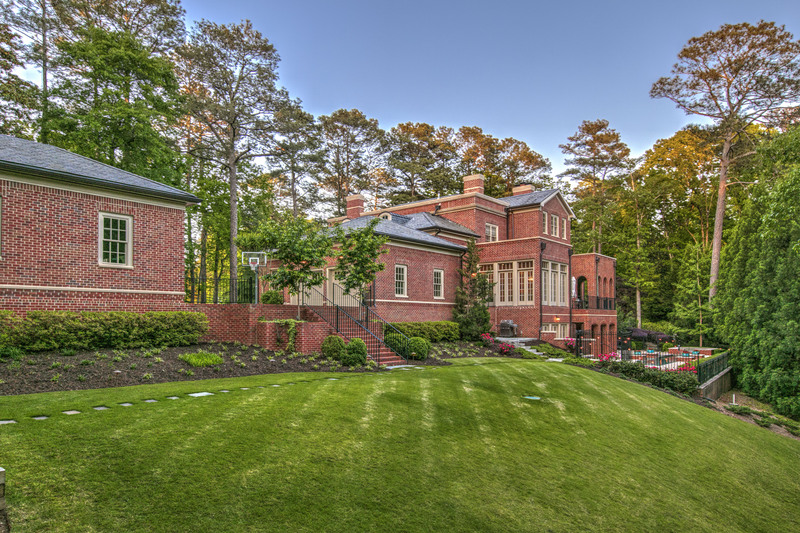 This classic Regency-style estate located in Atlanta’s Buckhead neighborhood, where it fits in nicely with other large homes in the area. The design was originally inspired by the Owens-Thomas House in Savannah. It has also been an Atlanta Homes & Lifestyle magazine Christmas House and featured in the magazine itself. The home was built in 2009 and features herringbone wood floors and high ceilings. There are six bedrooms and over 11,000 square feet of space. The home is outfitted with six custom fireplaces. The 1.6-acre property has a pool, a four-car garage, and an expansive patio. This home is listed for $3.59 million with Beacham & Country Realtors, an affiliate of Luxury Portfolio International®.